My Sock Factory’s new ultra-feminine and achingly cool collections are a joy to wear even in metallic fabrics such as lurex. Sparkly lurex showcases our socks in more elaborate weaves such as the Celtic braid or vintage jacquard. 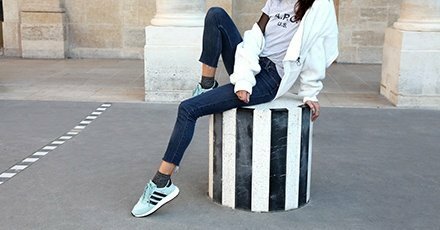 Our socks are carefully made with the ultimate in French artisan expertise so you can embody world-renowned Parisian chic with flair. Exceptional expertise and quality fuelling a multi-faceted artistic vision inspired by the urban and art scene; that’s what you get with My Sock Factory.